Following reports that Harry Potter spinoff film Fantastic Beasts and Where To Find Them had its sights set on Doctor Who's Matt Smith to play the lead, comes word that the part may go to Eddie Redmayne. The Oscar winner is said to be the favorite for the part of magiczoologist and textbook scribe Newt Scamander. Variety reported the update, stating that their sources say Eddie Redmayne is the frontrunner for the part, however director David Yates has his eye on a few other actors as well. Eddie Redmayne earned himself an Oscar, a Golden Globe and a BAFTA award for his outstanding performance in The Theory of Everything. You may also recognize him from Jupiter Ascending or his role as Marius in Les Miserables. In addition to reporting the news that Redmayne is being sought for the part, Variety also notes that there are four other main roles, two American boys and two American girls. What's interesting about this latest update, beyond the intriguing prospect of the talented Eddie Redmayne tackling the role, is that it supports the idea that they're looking for a British actor in his early thirties for the role. Matt Smith, who was reportedly in the running for the part of Newt, is 32 years old. 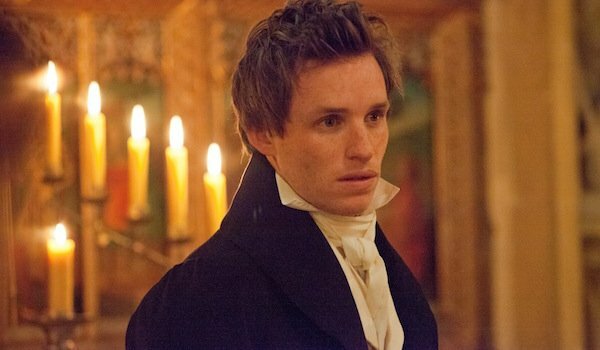 Eddie Redmayne is 33. Granted, we only have a couple of actors to go on, but their similar ages might be a pretty big clue that the character could be either in his late-20s or early 30s. Update: The Wrap reports that Nicholas Hoult is also in the running to play Newt, so perhaps the character will be mid-20s. As we mentioned when we shared that news, from what we know of Newt Scamander, he would've been in his early twenties when he was first commissioned to write Fantastic Beasts and Where To Find Them, but it's possible the story will either change that aspect of the timeline a bit, or else pick up a bit later into his adventure. Hopefully these reports suggest that Fantastic Beasts is close to solidifying its lead, after which we can start looking out for supporting cast updates, which might offer more clues about the story, beyond the basic premise. The book on which the film is based is more of a reference guide, with some basic background information about its author, Newt Scamander. The mention of two American boys and two American girls in lead roles makes sense, as we know the story is going to pick up in New York in the 1920s. But are these characters witches and wizards? Harry Potter author J.K. Rowling is writing the screenplay for the movie, which could become a trilogy. Fantastic Beasts and Where To Find Them is expected to start shooting this summer, and will hit theaters November 18, 2016.